Our favorite thing about dinnertime is that it brings loved ones together. During the week, families crowd around a good meal and revel in each other’s company as they slow down after a hectic day. On the weekends, friends share a glass of wine and a great story. 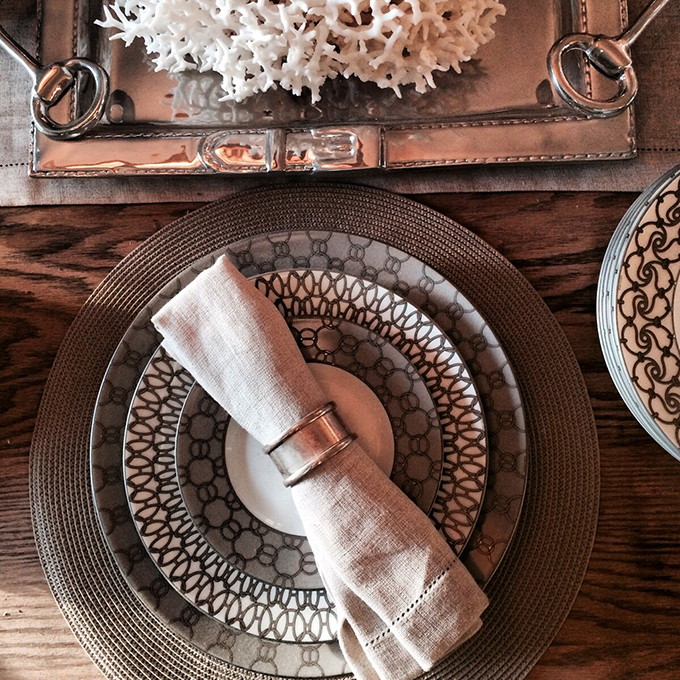 No matter the case, we think a great meal paired with even better company is something to celebrate…and nothing screams celebration like a well-dressed tabletop! 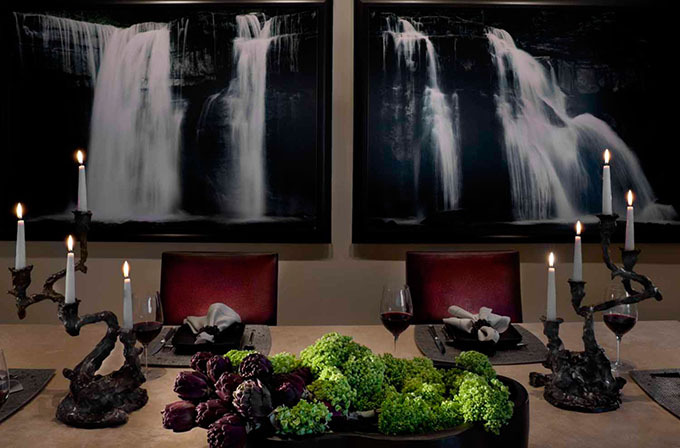 It’s important that the tablescapes we create for our clients and their families be both beautiful and functional. The tablecloth is a nice opportunity for texture, aids in easy cleanup and most importantly protects the tabletop underneath. 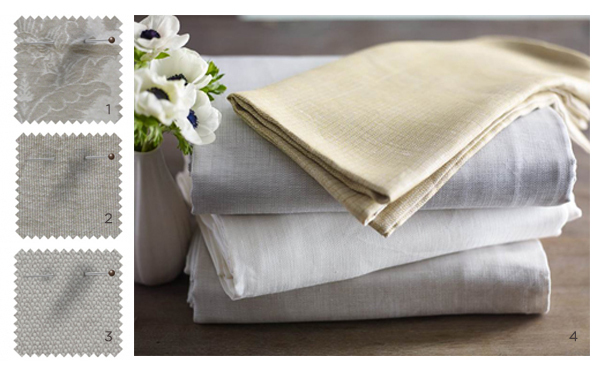 Lately, our go-to vendor for table covers has been SDH European Linens. They offer a multitude of patterns, custom sizes (perfect for hard-to-fit tables) and launder beautifully. Next up on the plate (pun intended) we take a look at some of our favorite dinnerware. From classic white, to gilded and embellished – the range of styles are endless. 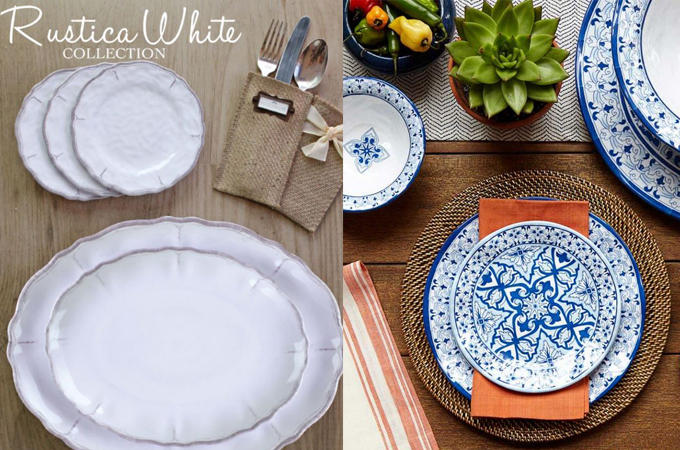 A gorgeous option for simplicity at its best is the “Spirit White” collection from Vista Alegre. Each piece has a subtle relief pattern of concentric circles which lends just the right amount of detail. 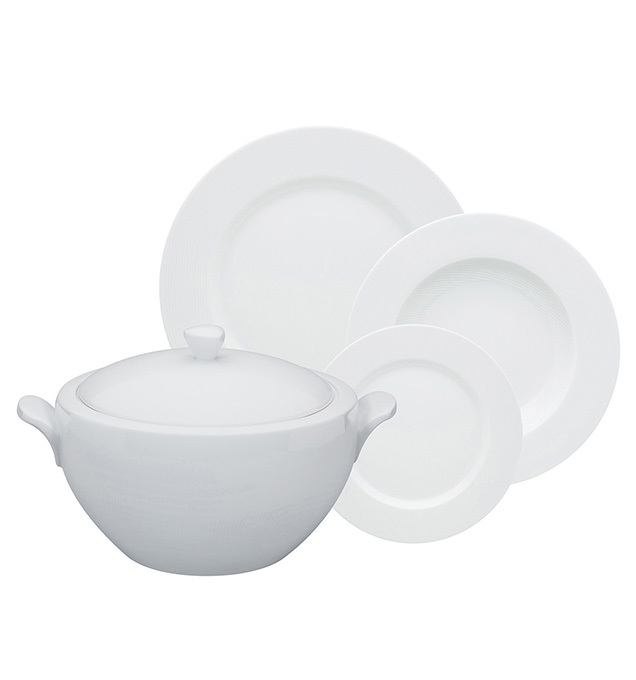 Vista Alegre dinnerware is also available from our sister store. Blue Peacock Home. For something with a bit more flair, we look to J.L. 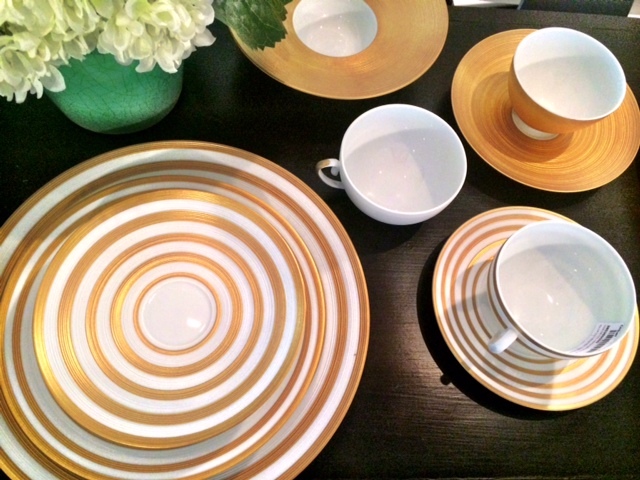 Coquet’s Hemisphere Gold Stripe Pattern. Handcrafted by master artisans using the finest Limoges porcelain, this setting is certainly a showstopper. Susanne’s personal favorite is the Fil d’Argent collection from Hermes. This setting mixes links, buckles, and arabesque patterns for a collected and refined look. We mustn’t forget our favorite outdoor collections as well! No need to worry about sacrificing style and durability for a little outdoor dining. The beautiful collections from Le Cadeaux and Q Squared make al fresco dining a stylish treat. Clean up is also a breeze since both lines are dishwasher friendly. In keeping with the celebration of everyday life, friends and family, how you finish your table is paramount to setting the mood. 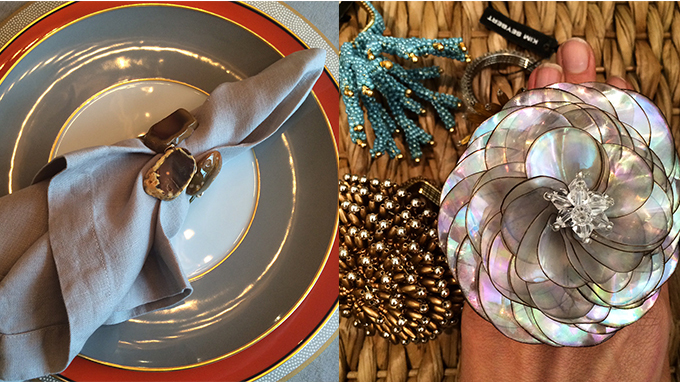 In our eyes, nothing makes a table sing like a fabulous napkin ring! For this, we turn to Kim Seybert. Kim is a true innovator in the tableware world. She combines unique materials like shell, lucite, beads and wood to create the perfect final punctuation to your tablescape, We find that such bold statements give you the opportunity to keep entertaining lighthearted and fun….Just the way it should be. Whatever direction your tabletop decor takes you, remember it’s all about having fun and celebrating good food with a little flair. With this recipe your friends and family are set for a once-in-a-lifetime dining experience…every time. Be sure to stop by or call Blue Peacock Home if you are interested in any of the items noted above. You can reach them at: 978-468-1228 or stop by the store located at 264 Bay Road in South Hamilton, MA.